Kelowna, BC has been identified as an ideal location for electronic data storage. Kelowna, BC has been identified as an ideal location for electronic data storage. Experts predict the British Columbia Okanagan region will become a major information storage shed for companies world-wide. Hosting there websites applications disaster recovery domain names. Disney has chosen Kelowna to locate their on-line site 'Club Penguin'.Kelowna Map As well, IBM preferred Kelowna over other Western Canadian and North American locations because of its climate and seismic conditions and was proposing to build a 100 million dollar Giga Centre there, one of the largest data centre projects in the world. Local business enterprises are recommending Kelowna as their preferred location of choice. Kelowna has all the accommodation needs for a disaster recovery hot site. There is minimal risk of natural disaster. The location inland, surrounded by mountains, 1000 feet above sea level, creates an environment of limited risk for disasters such as hurricane, tornado, flood, or major storms, to which the backbone of many major data storage facilities are exposed. Seismic stability is increased due to it being 240 km from the nearest earthquake zone. Kelowna Earthquake Zones Those concerned with facilities located on the West Coast near the San Andreas Fault or other eastern North American locations will find Kelowna a particularly suitable place to locate their equipment. Kelowna has cheap and accessible power from two hydro providers, BC Hydro and Fortis BC. Green renewable power is available from the nearby Columbia River. Kelowna's aberfeildie dam Hydro power The city has access to an up-dated highway system direct to Vancouver and has as well, an international airport. Kelowna has a robust multi-homed fibre optic network in place. Internet carrier, Telus, provides affordable access on a robust network. Telus, Bell and Shaw have targeted the area for superior connection and availability. A data center in Kelowna BC can insure client service without interruption. High availability Canadian Web Hosting, domains, and server infrastructure is a must. Kelowna's proximity to a talented workforce is excellent. UBC Okanagan campus is producing sophisticated high level graduates in both computer science, web design and engineering, ensuring qualified, current-thinking technicians are available to meet existing and future needs for the Information Technology sector. Because Kelowna is a favourable city to live in there is no problem in retaining these people and drawing others who want to work in this field. Canhost co-location provides a safe environment, disaster avoidance, redundant connections, and data backup options. Highly skilled on-site staff are available to solve any technical problems that occur. This means that clients can be confident that their data, Web Hosting in Canada, managed servers and business operations are secure. 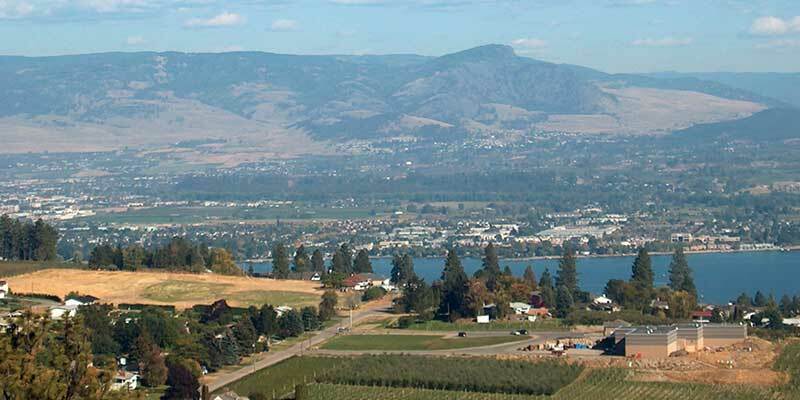 Canhost Data Center is located in Kelowna, British Columbia, Canada which has a population of approximately 170,000.Kelowna is in the Heart of the Okanagan's Silicon Vineyard in Western Canada. Kelowna Vineyard LakesFew world destinations can compare to Kelowna. The city is situated in the Thompson Okanagan region of south central BC, surrounded by stunning mountains and hills, pristine lakes, sandy beaches and semi desert terrain. Kelowna lies on the eastern side of Okanagan Lake which stretches north and south for 82 fabulous miles. Locals enjoy endless outdoor opportunities for swimming, boating, wind surfing, camping, fishing, hiking, cycling, golfing, downhill and cross-country skiingKelowna and Vernon Ski Hill Silver Star Mountain throughout the year. There are nearly 50 golf courses, many world class, and 4 ski hills, all within an hour's drive of the city. 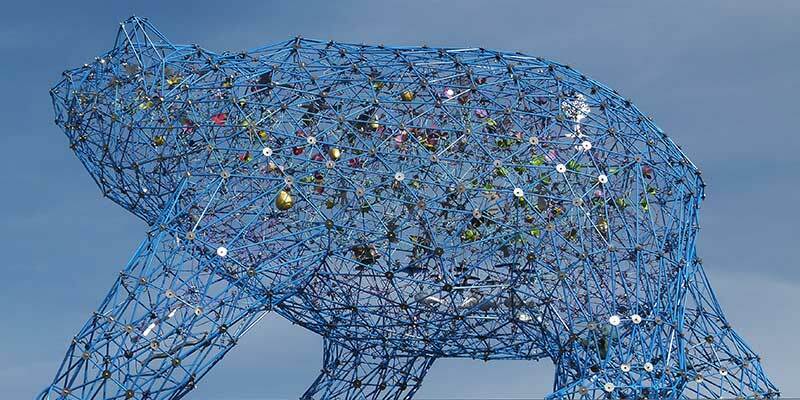 The cultural district offers a variety of museum, theatre, gallery, art and ballet choices. Kelowna is renowned for its mild, moderate climate and the abundance of Okanagan fruit it can grow. The entire Okanagan Valley boasts over 50 vineyards and wineries producing the finest Canadian and world class wines. Kelowna Vineyard LakesThe many amenities, for example the diverse shopping and gourmet restaurants, make the city a great place to raise a family and operate a business. A modern transportation network links Kelowna to Vancouver on the West Coast - it is only a 1/2 hour by jet or just 4 hours away by car. The city also has an international airport so connections to world destinations both east and west are readily available.